Even before human civilisation began, the entire human race has always engaged in wars, the reasons for these wars were usually for land or power and have resulted to starvation, deaths of innocent people, disability, violence, poverty and reduction of population, destruction of resources, crash of the local economy and even in some cases a total wipeout of an entire ethnic, racial, Caste, religious, or national group (genocide). These wars has given rise to some of the most brutal warriors the world has ever known, men that could be regarded as not just the greatest and famous warriors but also the greatest war strategists that are ever known to man, this list highlights a number of these brave warriors in the history of mankind who deserve a place in the top 10 greatest and famous warriors that ever lived. Alexander the Great is known for his conquests of vast portions of present-day Europe and Asia. 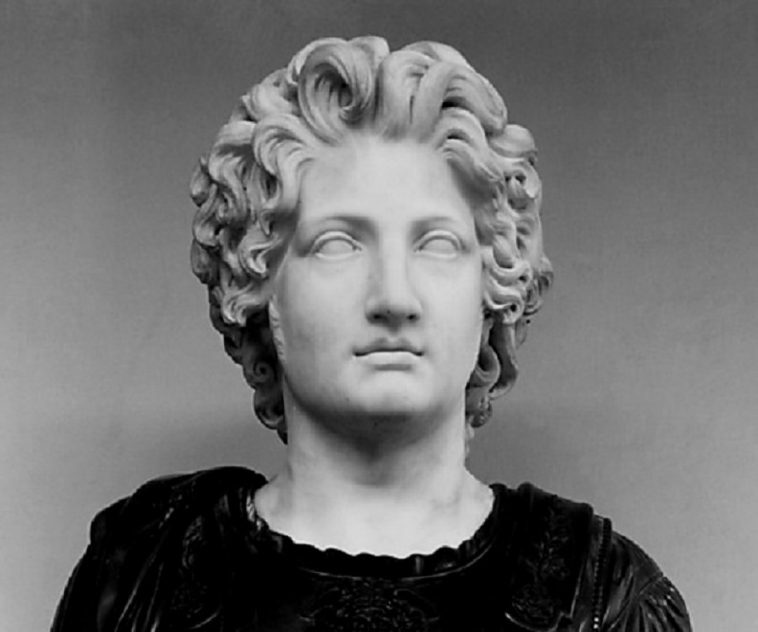 Alexander, the son of King Philip II and Queen Olympia, was born September 20, 356 B.C. When Philip was assassinated during the celebration of his daughter’s wedding, the 20-year-old Alexander ascended the throne. Alexander the Great died of malaria at the early age of 32 while en route to conquer the cities of Carthage and Rome. Alexander is also known as Alexander III, Megas Alexandros, and Great Alexander. Hannibal was a Punic Carthaginian military leader whose stunning victories in the first and second centuries B.C. are considered to be among the most outstanding examples of good military strategy. In fact, he has been called the “father of military strategy”. Hannibal was elected to be a government official following his defeat by Roman general Scipio Africanus at the Battle of Zama. He later fled to escape the Carthaginian aristocracy, who did not approve of his reforms. The country in which he sought refuge betrayed him to the Romans. Rather than be captured, Hannibal took poison in Bithynia. Attila the Hun, who murdered his brother Bleda for the throne, is known for his bloody conquests of Europe during the 4th century B.C. No one is certain of the origins of his name. Various translations of the name include “hero,” “father,” and “universal ruler.” Attila was supposedly murdered on his wedding night by his bride. Napoleon Bonaparte, also called Napoleon I, was a French military leader. He was born on August 15, 1769 in Ajaccio, Corsica, France, the fourth child of Carlo Buonaparte and Letizia Ramolino. Napoleon was exiled to the island of Elba after a humiliating defeat by the Russians, but he escaped and returned to France. He organized an army to fight the Prussians in Belgium, but failed again at the Battle of Waterloo. The British government exiled him to the island of St. Helena. Napoleon died on St. Helena on May 5, 1821. Gaius Julius Caesar was born on the 12 or the 13 of July in 100 B.C. to Gaius Julius Caesar the Elder and Aurelia. One legend says that he was born by Caesarean section, but this is unlikely. Caesar was popular among the common people and was elected for the consulate four times before claiming the role of dictator in 46 B.C. Julius Caesar was assassinated by his political enemies on the Ides of March. Field Marshal Erwin Rommel was a famous commander in the German army. He was called the “Desert Fox” by the American soldiers because of his outstanding military strategy during the Africa campaign of 1941-1943. He was implicated in a plot to assassinate Hitler and was given the choice to be publicly humiliated or commit suicide. Rommel chose suicide and took a cyanide tablet on October 14, 1944. General George S. Patton was the one of the most successful combat tacticians in World War II. He was greatly respected by the German army. Patton was the most battle-hardened of men and gloried in combat for its own sake—his men called him “Old Blood and Guts.” He could be found on the front lines during any tank engagement involving his troops. In explaining his reason for his actions he said, “I want my men to know that I share the same dangers they face.” George S. Patton died in Europe from injuries sustained in a car accident on December 21, 1945. Audie L. Murphy was the most highly decorated soldier of World War II. Among his 33 awards, he received the Medal of Honor for his actions in France on January 26, 1945. Lt. Murphy and his men came under a surprise attack by a German force of 250 infantrymen and six Panzer tanks. Murphy ordered his men to fall back and regroup and then single-handedly drove back the German attack. Murphy became a Hollywood actor following his return to the States. The SS were the most hated and feared of all Hitler’s soldiers in World War II. A human skull was the emblem of the Death’s Head branch of the SS—they wore the skull on their hats and as rings on their hand. These ministers of death would come upon German Jews without warning and sweep them away, never to be seen or heard from again. Like the Japanese soldiers of World War II, the SS rarely surrendered. They would fight to the death. U.S. Marines in the Pacific during World War II saw some of the bloodiest fighting of the war. On tropical islands such as Peleliu, Okinawa, Tarawa, Iwo Jima, and Guadalcanal, they fought to conquer a terrible foe whose goal was to kill the Marines or die trying, they deserve a place on our list of the top 10 greatest and famous warriors in the history.